So I've finally bought a boilersuit after contemplating it since last season! Never thought I would be wearing one, but then again I thought the same about dungarees. 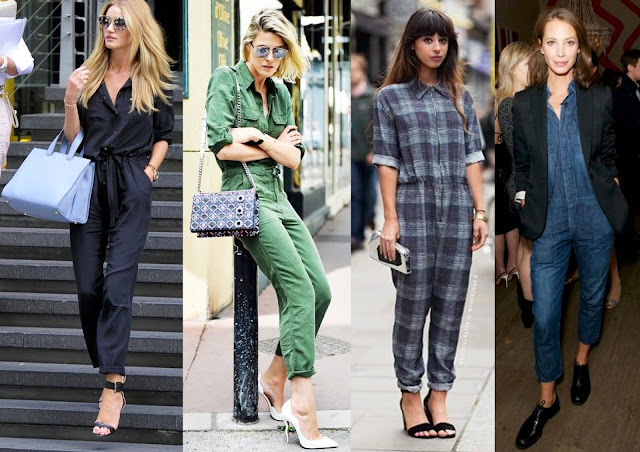 A boilersuit sometimes gets mistaken for a jumpsuit, so what's the difference? 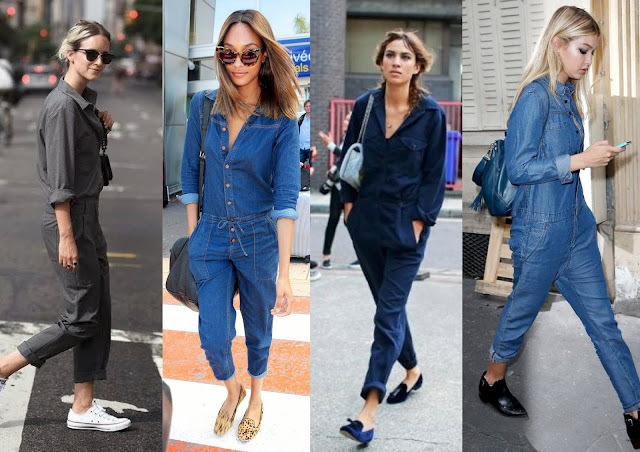 Even though both are one-piece suits, the difference is a jumpsuit is meant to be a tighter fitting garment whereas the boilersuit is a looser fit and normally comes with shirt sleeves. 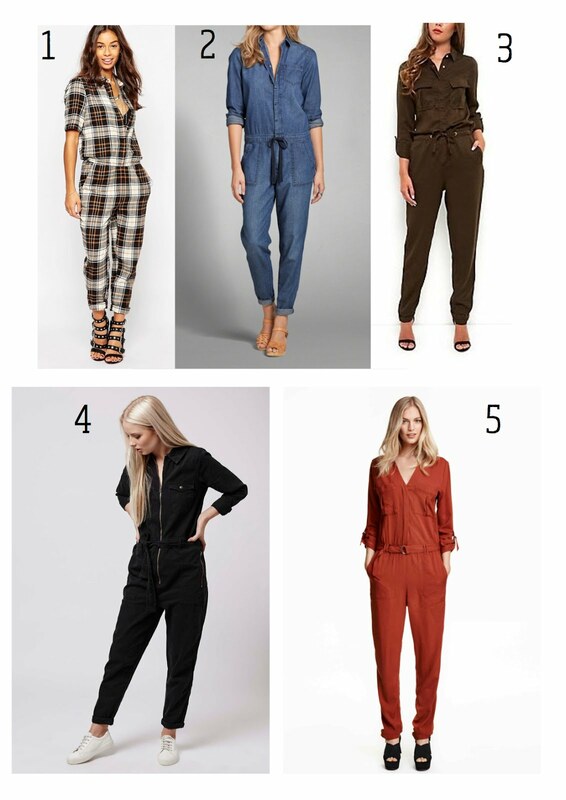 This boilersuit is from Miss Selfridge, I haven't shopped in Miss Selfridge for years and somehow came across it while browsing during the Black Friday weekend. After debating all weekend whether to buy it or not, I purchased it on the Cyber Monday for half the price. I have a feeling I will be wearing this a lot, it sits perfectly on me and is true to its size. I'm all about being comfortable and buying things that are versatile but also fitting into my casual style. It can easily be dressed up with heels for a night out or dressed down with flats. (Images from Pinterest).